The Internet can be an effective and lucrative tool for promoting a business. However, if a company is not showing up in Google search results, there are ways to improve its search ranking. The first step is to make sure the URL has been submitted to Google. Once this step is completed, it can take three to six weeks for the website to appear in subsequent search results. However, it is also important to keep in mind that getting listed is one thing while achieving a good ranking on Google is another thing entirely. The truth is most people searching the Internet rarely click past the first listing or page of results. Therefore, it is not enough for a company’s site to be indexed by the search engine. It is also important that it is ranked on the first page. Typically, the Google front page consists of 10 listings. 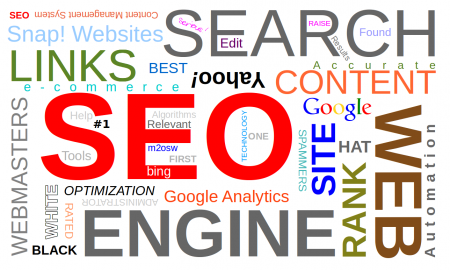 As a result, a business should employ search engine optimization (SEO) techniques and/or tools in order to achieve that ranking. Here are some useful SEO tips aimed at improving a company’s Google search ranking. Seek Out Backlinks and Pingbacks–These are web pages that contain links back to a website. In fact, backlinking and pingbacks can make a significant difference with a site’s Google ranking. If there are multiple websites linking back to the site, Google will consider it one of the best pages and rank it accordingly. 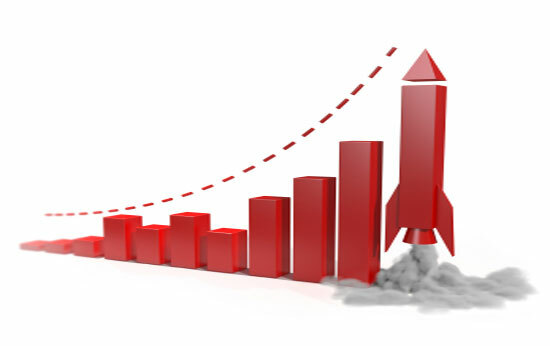 Thus, the more backlinks and pingbacks a site can achieve, the higher its Google search ranking. Meta-Tags Boost Keyword Capacity–Meta-tags are a form of hidden code, as such visitors on a website cannot see them. However, the “bots” can see them when they scan the site and that will make all the difference for its ranking. These meta-tags can be easily added on a website if someone is experienced with web design, has a web design program, or is familiar with HTML coding. If none of these options are viable, tech or IT professionals can also be hired or assigned to add them to a site. It is recommended that 10 to 20 meta-tags be applied to a website–no more, no less. Add Keywords Within Content–Keywords or PKTs (Primary Key Terms) can consist of a single word or short phrase (e.g. Climate Change, Diabetes, Pope Francis, Game of Thrones, etc.). If someone is using a phrase or title as their keyword, it should not exceed four or five words. These keywords should be terms or topics that are relevant and which people seek out when searching Google (e.g. terms that will be typed into the search box by users). It is recommended that no more than five keywords are used at one time. Otherwise, a website could be penalized by Google for keyword-stuffing. Attempt to Locate Low-Competition Keywords–There are several keyword tools available to aid users in this endeavor. Users should be careful because these web tools are offered as paid and free versions. For example, Bottlenose has offered a keyword locator tool for several years now. It originated as a free version but has moved to a paid version. A free version is still available but it is limited in scope at this juncture. The purpose of these tools is that it allows users to gauge the popularity of particular search terms, as well as the level of competition involved by using them. Highly competitive keywords can have tens of thousands of websites fighting over them. Therefore, a site is less likely to land on page one of Google if these terms are selected. Finding less competitive keywords will garner the attention of the major web browsers, and hopefully, help improve a site’s search ranking. Make Sure Site Content Is Relevant–A business should keep the content of their site relevant to the goods and/or services offered. Therefore, the articles or other material that is featured on the website should be specific to the services provided. Moreover, avoid using filler or material that is only tangentially related. Furthermore, Google’s latest algorithm ranks websites with original, relevant content more highly than those with content repeated elsewhere. If a company’s website is absence and/or buried among the results when browsing the Internet, it is important that steps are taken to improve its Google search ranking. By following the five tips outlined above, a site should see significant results in short order. If these tips are applied consistently and as instructed, a company’s website should experience improved performance and Google search ranking in no time. 2 Responses to "5 Tips for Improving Google Search Ranking"